Very little information was known at press time Friday of a robbery at a local convenient store. 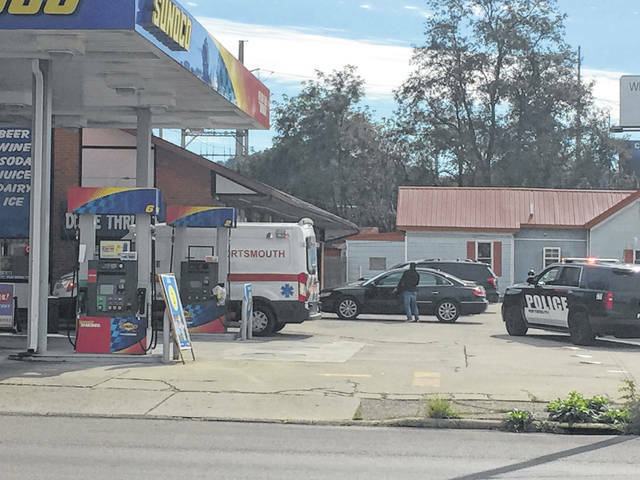 Portsmouth police were called to an apparent robbery Friday afternoon at the Sunoco gas station located at the corner of Offnere St. and 11th St., Portsmouth, Friday afternoon. According to police, an employee in the store called to report the robbery, stating the robbery suspect was still in the store. Police responded to the store and was still investigating the incident at press time. Portsmouth Police are also investigating the discovery of human remains located at 2809 Gallia St. According to reports, police were called to the scene, which is a wooded area just west of the address given. Also responding to the scene were the Scioto County Coroner and the Bureau of Criminal Investigation and Indentification. The coroner’s office has positively identified the body as that of Nathan S. Fowler, 34, of Portsmouth. Fowler had been reported missing Oct. 5. No cause of death was listed in the report. Anyone with information on either case can contact Portsmouth Police Detective Steve Timberlake at 740-354-1600.